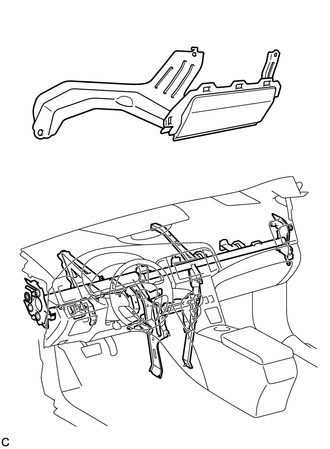 Be sure to follow the correct removal and installation procedures of the driver side knee airbag assembly. 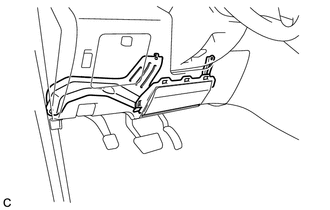 (b) Visually check for defects with the driver side knee airbag assembly installed on the vehicle. If any of the defects is found, replace the driver side knee airbag assembly with a new one. (b) Visually check for defects with the driver side knee airbag assembly removed from the vehicle. If any of the defects is found, replace the driver side knee airbag assembly, instrument panel or instrument panel reinforcement with a new one.